Google Blogger backup file generated by this application contains information about your Google+ posts, comments, and images. Log in to Blogger site https://www.blogger.com and pick a blog for which you’d like to perform the import. 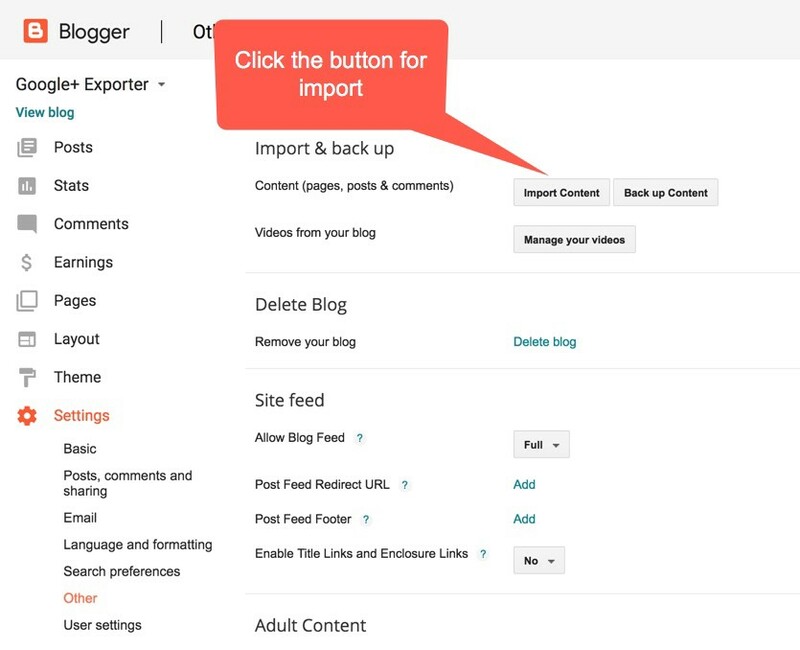 Go to “Settings” / “Other” in the Blogger admin panel. Click the “Import Content” button in the “Import & Back up” section. Confirm Captcha and uncheck “Automatically publish all imported posts and pages” option so you can check imported posts and publish them later. Click the “Import from computer” button.